Ruby mined Madagascar and cut in Bangkok is showing excellent color. 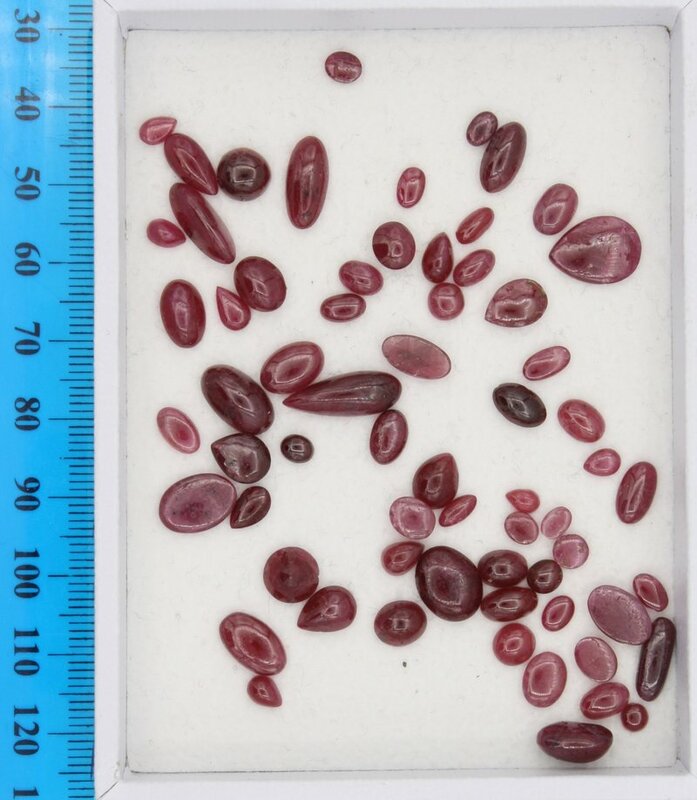 These are some of the latest cabs from the Madagascar rough ruby bought last year. 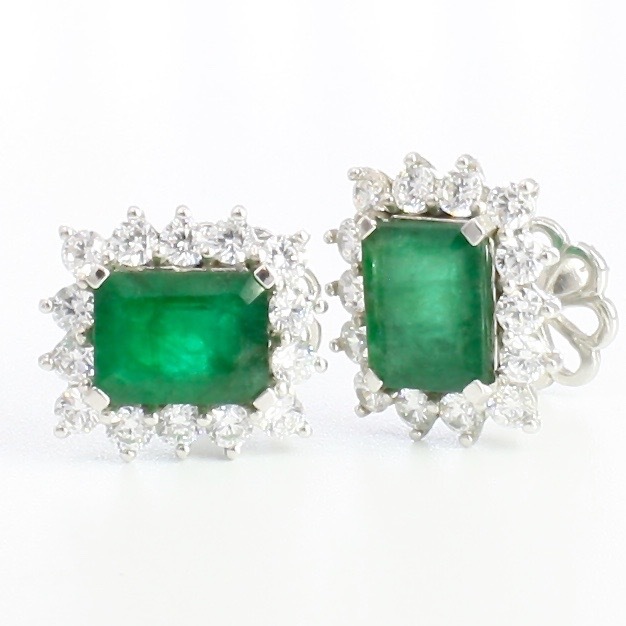 These are straight from the mined rough, with no heat or other treatment. How do you like your coffee? Dark and strong, like my rubies. We can cut to any shape/size and calibrate to 0.1mm tolerance. What are the criteria that gemological institutes follow to determine if a sapphire is a ruby? Can there be pink rubies? 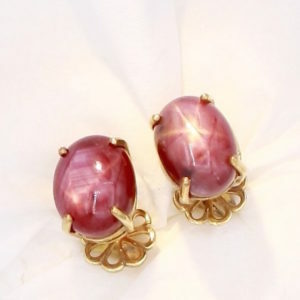 There is no pink ruby, pink corundum is called pink sapphire. 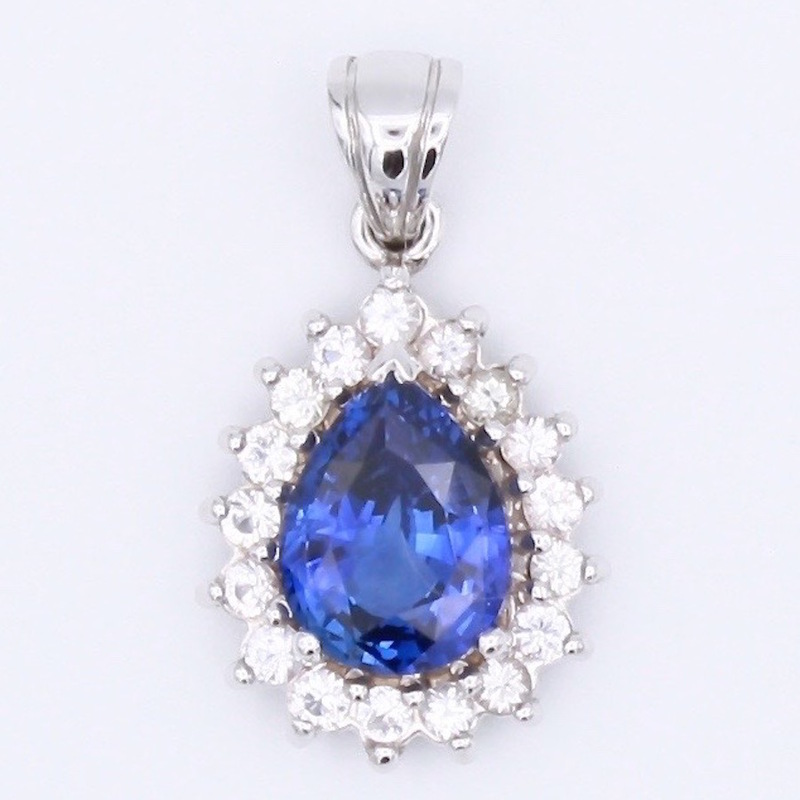 Any colour of sapphire that is not blue is generally known as fancy sapphire. However, what is ‘red’ and when does light red become pink? Is reddish orange still red, etc is a matter of individual opinion. Both hue and tone have to be taken into account. As you can see, there is no ‘pink’. Pink is a lighter tone of red. So when grading a stone as ruby rather than pink or fancy sapphire, it needs to be ‘red’ with medium or better tone. Subjectively, one grade difference is acceptable – what I might call ‘red’, you might call ‘slightly purplish red’, or what I might call ‘medium’ tone, you might call ‘medium light’, and that is ok. But there is no absolute definition for ruby, some labs might class ruby as anything with red in it, others might say red only, or some might include orangish red and slight purplish red. 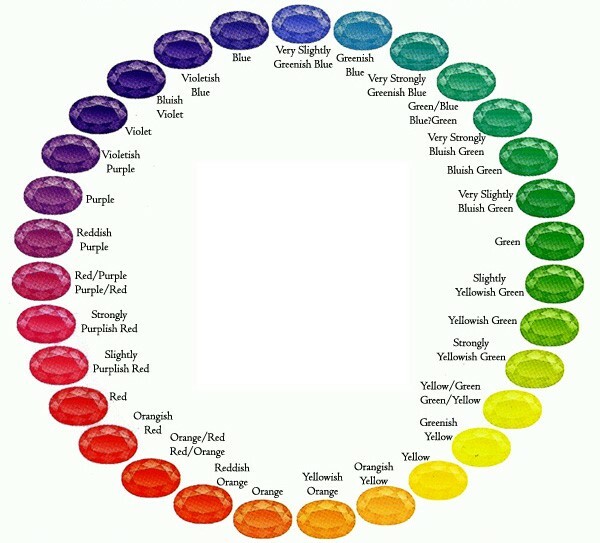 Just to be clear about ‘saturation’, the saturation scale as defined by the GIA goes from ‘brownish’ to ‘vivid’ for red gemstones. 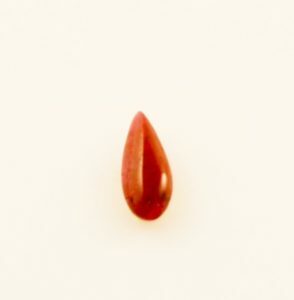 It should make no difference to the actual classification of whether a gem is ruby or not. Confusing, right? Yes, at first. But once you get your ‘eye in’ for ruby, you can pretty much tell at a glance. A definition I like to use is that if corundum can return a red ‘flash’ (a property of ruby is it returns more red light than it receives), then it deserves to be called ruby. The best possible colour of ruby is called ‘pigeon blood’, but that is a whole other story. 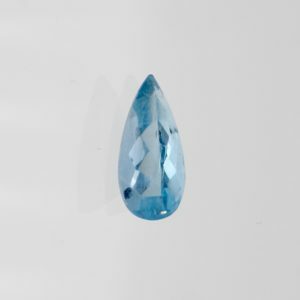 The traditional list of anniversary gemstones has a big problem – you have to wait a long time before you get to the good stuff. As you can see, the first really decent gift comes at 12 years with jade. Not that there is anything wrong with garnet and topaz, but to wait 40 years for ruby, and 65 for sapphire is just unreasonable. Emerald, ruby and sapphire make exquisite anniversary gifts. But why wait for decades before you give them to the one you love? Here is my alternative list. Sure, not for everyone, in fact, it should be exclusive to those only who really love their chosen partner. 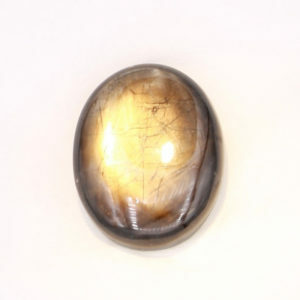 7th Onyx Gold Sheen Sapphire Deep, complex and endlessly fascinating. Just like your relationship, with the longevity of sapphire. 8th Tourmaline Sapphire Doubling down on topaz, see, you really mean it. 9th Lapis Lazuli Spinel Underrated and not many people get it. But you both do, spinel exemplifies this. 10th Crystal or green Tourmaline Emerald A decade, and you have to top Ruby and sapphire somehow, only an Emerald will do. 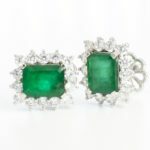 20th Emerald Alexandrite The best properties of ruby and emerald. 20 Years deserves this exclusivity. 30th Pearl No problem to stick with tradition at this stage. 40th Ruby Of course ruby again. 60th Diamond Moissanite, but a set Remember your first anniversary? Yes, it is a little bit tongue-in-cheek. But why not? No one should wait for years for the beauty of a gift of a wonderful gemstone. I am not particularly surprised that the price of the highest grade cut is so strong. The latest batch I reported here http://sjwgems.com/articles/new-factory-cuttings-gold-sheen-sapphire/ really are spectacular. I heard a comment today from a long time collector and now investor in gold sheen sapphire. He said “The more I handle and look at the goldsheen (sic) sapphires, the more I appreciate their unique beauty”. Which is my own sentiment exactly, and I think that is also evident in the strengthening market price. 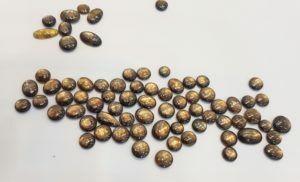 The latest batch of Gold Sheen Sapphires from the factory are showing some remarkable characteristics. Gold Sheen Sapphire cabochons, yet to be graded. Then, there was this incredible find – for the first time we have seen completely transparent gold sheen sapphire with full sheen and star effect. The smartphone snapshot does it no justice, but imagine the transparency of a vivid blue medium tone sapphire, but instead of blue, the colour is golden sheen. Incredibly beautiful star gold sheen sapphire, completely transparent, very very rare. Out of 200,000 carats cut, we have found less than 20 carats of stones like this. We know how to cut is as cabochons, so that is what the factory did. But what I am thinking is, what if we faceted it with a brilliant cut? I’ll run it by Tanzim and see what he thinks. Some tips and advice for people interested in buying or investing in ruby in the longer term. The main things to consider and avoid. 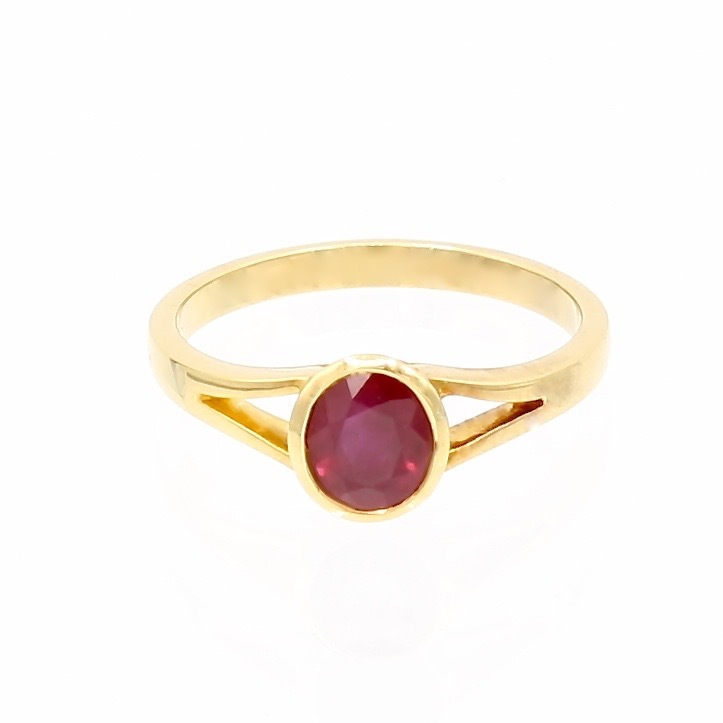 Ruby is one of the ‘big three’ of precious gemstones – Ruby, Sapphire and Emerald. At one time these were the only types of gems considered ‘precious’, and everything else was ‘semi=precious’. The finest ruby is worth more than diamond, but you can find ruby from as little as $5 per carat (not that you would want to buy it though). 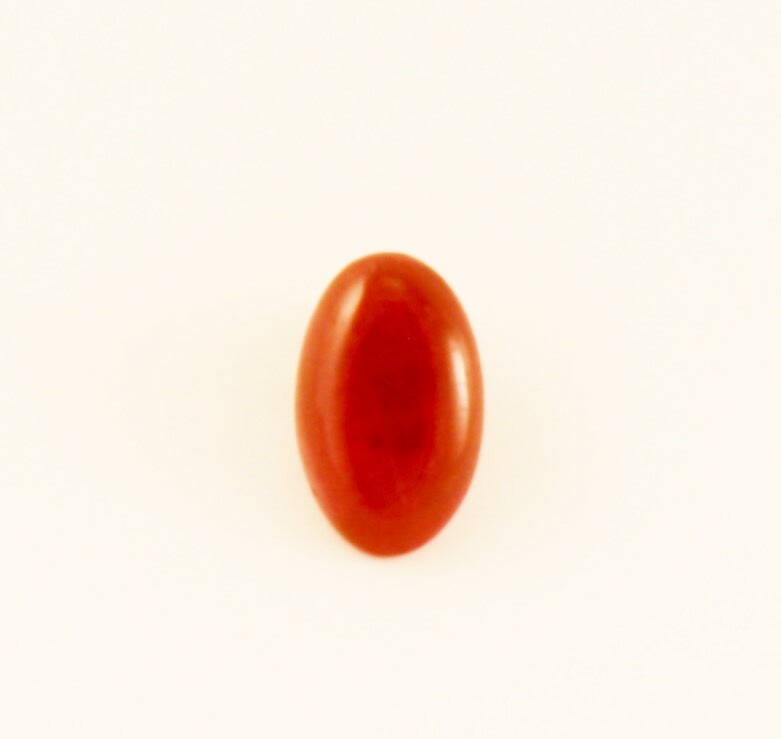 Natural Ruby – For investment purposes, only ever buy natural ruby. Manufactured ruby looks good and is fine for less expensive jewellery, but as an investment it has no long term appreciative value. 1 ct Ruby gold ring. 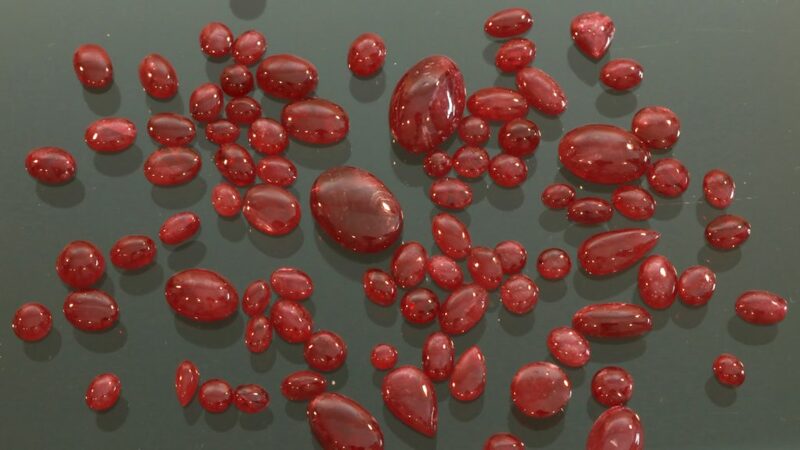 Natural ruby with mild heat treatment. 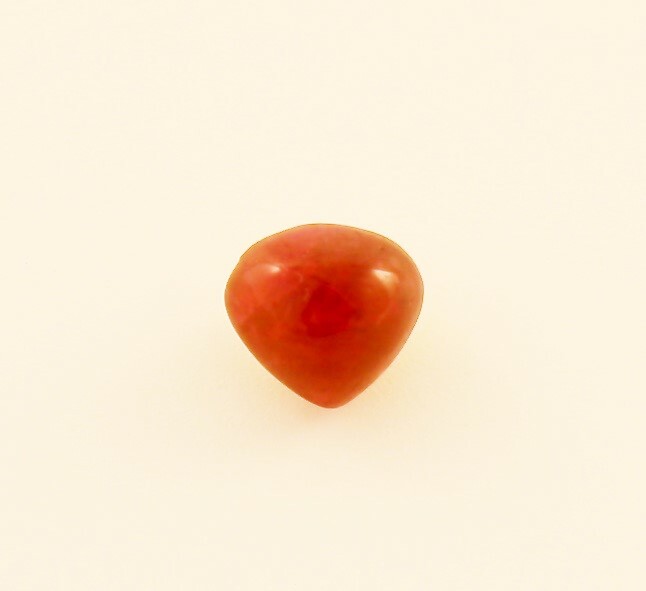 Glass Filled Ruby – When buying natural ruby, absolutely stay away from glass filled ruby! I can not stress this enough, There is a lot of glass filled ruby around at the moment and you can usually tell because it sells for under $10 per carat. 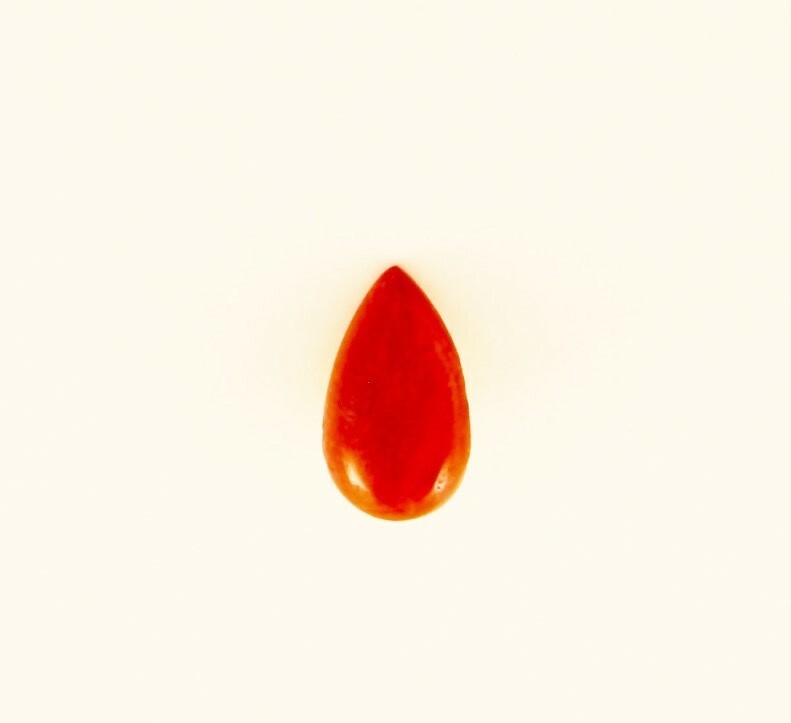 Glass filled ruby is not a permanent treatment, and the gem will deteriorate quite quickly over time. When it is new it is hard to spot, but after even as little as a few months the gem starts to become cloudy as stress fractures build up in the glass. 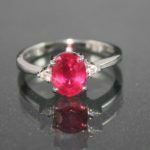 Heat treatment – Heat treatment of ruby and sapphire has been around for hundreds of years, and is so common that the GIA advises that unless you have certain knowledge otherwise, assume your ruby is heat treated. When done properly it improves the clarity, colour and appeal of the gem. 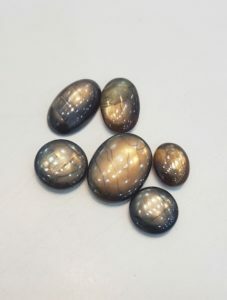 However, there is some risk that ‘heat treatment’ may be used to describe a gem that has been glass filled (which is a type of heat treatment). Unless you know what to look for or are buying from someone you trust, avoiding heat treated ruby will ensure you are not getting an inferior glass filled gem. For an excellent article on heat treatment, see A Brief History of Heat: Heat treatment of ruby & sapphire by Richard W. Hughes. Other Treatments – Generally all related to heat treating, other processes can include the addition of chemicals to penetrate or coat the gem and improve the colour and fill in any surface flaws. When a coating is applied it is called ‘diffusion’, and if the coating gets scratched or damaged, the appeal of the gem will decrease. 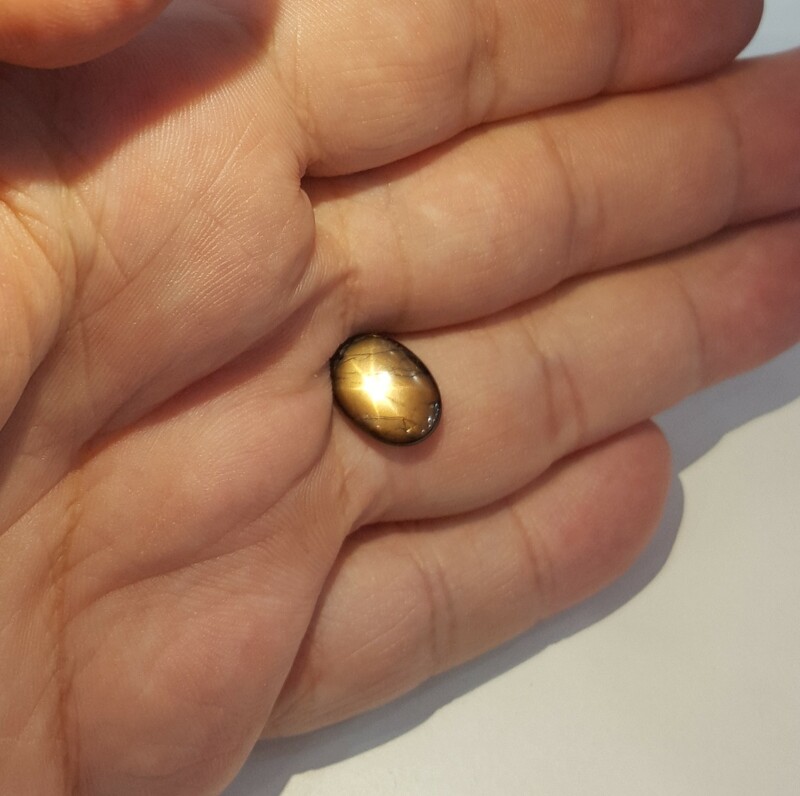 Irradiation is another surface treatment where the gem is exposed to beryllium. This is a temporary treatment that will improve the colour, but soon wears off. These treatments are detectable in a gemological lab and always decrease the long term value of the gem. The four ‘C’s – Cut, Clarity, Colour and Carat size apply to rubies just like any other gemstone. Large carat rubies (over 4 carats) are particularly rare. There is an excellent guide to the frou c’c of rubies at ringspro.com. 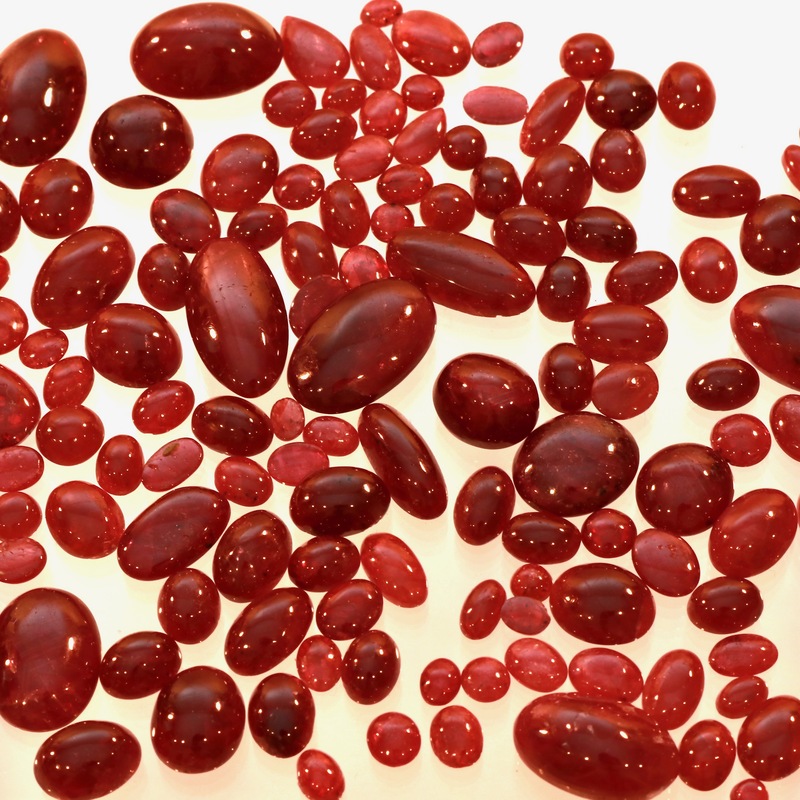 Unheated – For any given quality, unheated, natural ruby commands the highest price. A 10x jewelers loupe is usually sufficient to tell a gem with heat treatment from an unheated one. For investment purposes and longevity, nothing will surpass unheated natural stones. Types of Ruby Cuts – Rubies can be faceted or cabbed, both are beautiful. Generally the best stone is used for faceting,while more opaque and darker stone is used for cabochons. Hence, faceted ruby usually has a higher price per carat than cabochon. However, ruby cabs will sometimes have a star phenomena, caused by needle like inclusions of rutile. The more prominent the star, the better. Like sapphire, ruby will have a six arm star, or sometimes, very rarely, a 12 arm star. If you have more questions about buying or investing in ruby, email me at steve@sjwgems.com, I will be very happy to help you. I sometimes get asked if gemstones are a good investment, and if so, how to get started. Each of these has its own benefits and pitfalls, but the common requirement to be successful in each is Know What You are Doing. Either by research and study, or by getting trusted expert advice. The attraction of short term investment is to buy ‘a bargain’, currently worth much more than you paid, and then on-sell it to someone at a price closer to its market value. There are certainly genuine bargains to be had, either through luck, in depth market knowledge, or usually a combination of both. But for every genuine bargain there are perhaps ten deals that look like bargains, but turn out to be not so good later on. On the whole, the vast majority of gem traders describe their products honestly. Out of hundreds I have dealt with in Sri Lanka and Thailand over the years, I don’t think a single one has knowingly sold me something that isn’t what they said it was. But whether it was a ‘bargain’ or not, was completely up to my knowledge that, the very very good, price they offer may actually be twice the going market rate for that particular gem. Or just what degree of heat treatment it has. Or just what process was used to give it that particular colour. When I first began to buy gemstones in Sri Lanka many years ago, I was very fortunate. One thing that helped was that the country was still fighting a civil war, and apart from UN observers that rarely stepped outside their compound, there were very few westerners, and even fewer looking to buy gemstones. I was treated very well by the traders I bought from, and was able to get some very good pieces at prices just not possible any more. This fantastic flawless 7 carat Tanzanite was bought in 2008 from Zams in Colombo. 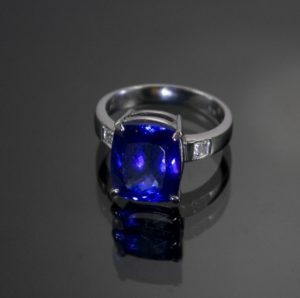 The price of Tanzanite has fluctuated, but the price of a rare and beautiful stone like this will always appreciate. This 4.5 carat Tsavorite is perhaps my favourite. Tsavorite is a fantastic but underrated gem – the same colour as emerald but the same refractive index as sapphire, and ten times rarer than either. The problem for me though, is that as a short term investment, they are useless – because they are so good, I don’t want to part with them. I would much rather keep them as a legacy asset for my children and grandchildren. Nevertheless, it proves bargains are possible, even for the novice, but needs luck (in my case) and/or knowledge (which for me came later on). 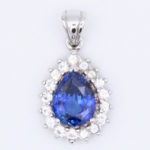 There is another case too, and that is just to buy the gemstone for its own beauty. Certainly, that was the basis for all my early purchases. Because whatever I spent I thought was a worthwhile amount to get a beautiful gemstone. In this case the monetary return is secondary to the subjective feeling of owning something really beautiful. As long as the gemstone is genuinely a precious gem, then at some point in the future it will be worth more than the amount paid, whatever that amount was. Say the market price for a particular sapphire is $1,000, but you pay $2,000. You have lost out in the short term, but within, probably not more than, ten years, it will reach the initial value paid, and in 20 years will be worth $4,000, after 30, $8,000, and so on. The average 7.2% yearly appreciation in value overtakes whatever ‘mistake’ may have been made at the initial purchase. Even for someone quite clueless, the intrinsic value of owning something rare and precious will be great enough in the long term to overcome the high price they may pay. To give one example, 30 years ago I bought a diamond engagement ring for, what was to me then, a considerable sum of money – $2,000 – a months salary. 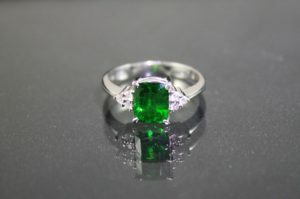 It was bought the most expensive way possible, from a retail jeweler who specialized in engagement rings. Now, the diamond in that ring is worth over $15,000. So in the cold light of purely and investment, the amount I paid was not so bad. But in addition to that, I had the pleasure for 25 years of seeing a very lovely diamond grace the hand of a beautiful woman. 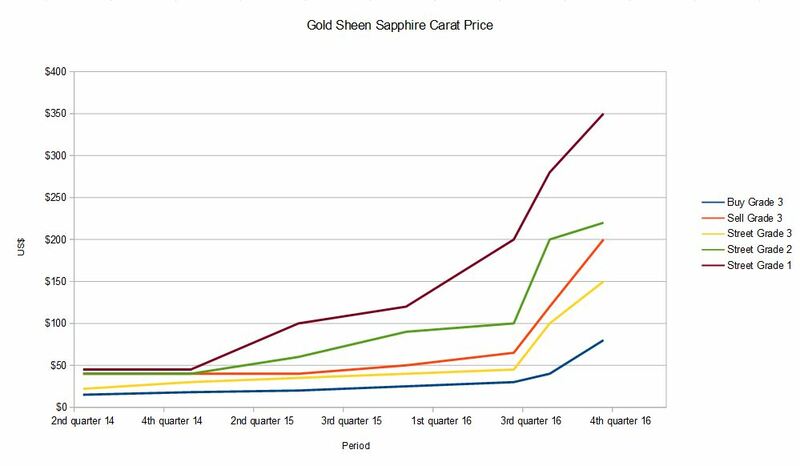 Bought right, Aquamarine and Gold Sheen Sapphire are both excellent long term investments. As long as they are the genuine article, buying gemstones with the view to keep them as a long term investment carries little risk. Of course, if you can get a good price in the initial purchase, all the better. This is the big one. The one that is for the benefit of your kids and grand kids, to build an collection that will be a secured asset well into the future. There are sound investment reasons to do this, but here is just one that I think is a compelling justification. Say you use your saved cash to invest in property; the ‘buy in’ amount is going to be around $500k at least. Yes, property will always over time increase in value, but it is not without overheads. The land price might increase, but the building and fixtures are continually depreciating. And then there are bad tenants, changes in zoning, and many things that can happen that you have little or no control over. Consider gemstones on the other hand. The overheads are minimal. You may keep them in a safety deposit box at the bank for a trivial amount per year, or in a safe at home. Insurance is no more than any other asset you own. The appreciation of the asset is about the same as property, with without anywhere near the overheads and complication, and with complete control over the assets. Instead of needing half a million dollars to start off, gemstones can be added to incrementally for only a few thousand dollars a time. Then, should at some point you need to sell, there is the flexibility of selling in small units rather than one big chunk as you would with property. 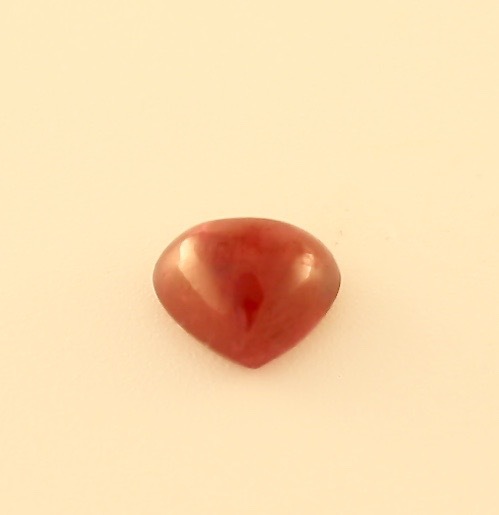 Natural, unheated Ruby is a fine way to start a long term or legacy investment in gemstones. Whatever the investment type may be, I can’t stress enough how important it is to research yourself or get expert advice from someone you can trust. The longer the term you plan to invest, the less risk there is, but it is still better to get off to the best possible start. About my company, SJW Gems: My goal with SJW Gems is to give you the best, most beautiful gemstones I can find, tested in my own lab, at a price far below anything you would expect to pay elsewhere. I try to adhere to my personal motto of ‘twice the size at half the price’. 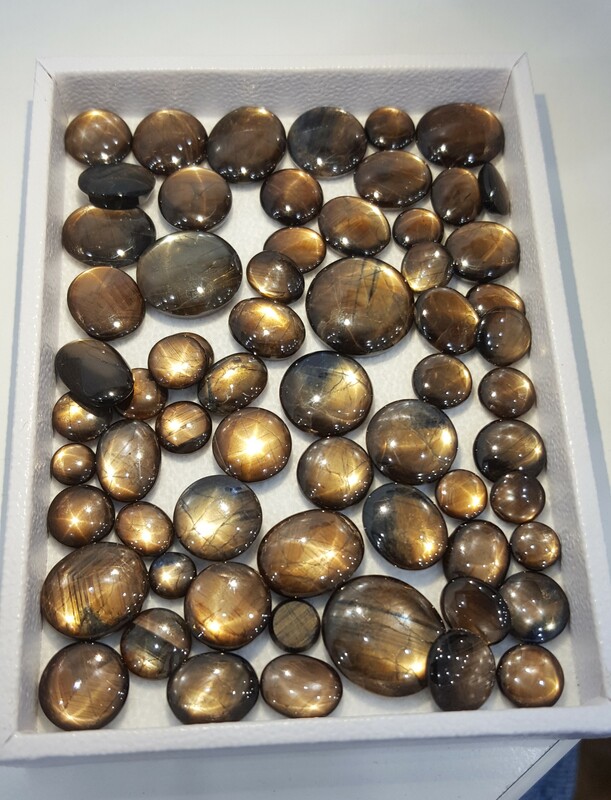 I only buy stones that I like, and would like to have in my personal collection. So, I am happy to offer my personal guarantee that if you are ever dissatisfied with your purchase from me, for whatever reason, I will buy the stone back from you at the same price you paid. What is Gold Sheen Sapphire?